Ladies and Gents, this week it is my absolute pleasure to introduce you all to a star of the future and one of our very favourite super hosts, the brilliant and lovely Julien Allwood. 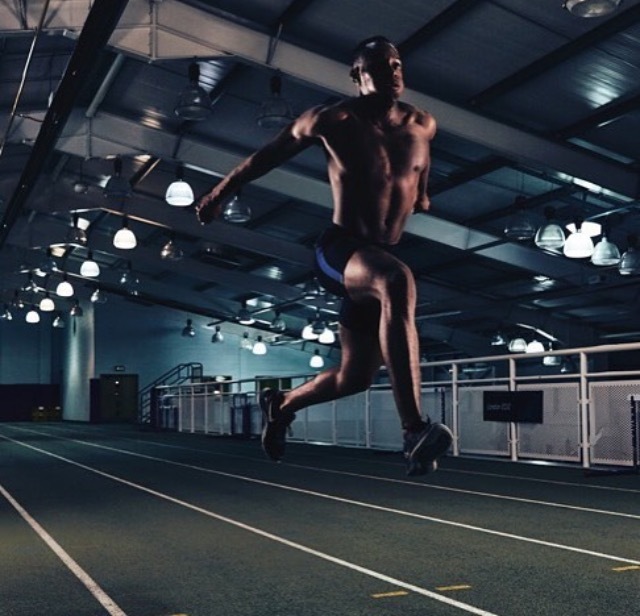 Julien has won 6 national titles across the triple and long jump events and has his sights firmly set on the Tokyo 2020 Olympic Games. If that’s not enough, Julien also runs his own Personal Training company and he’s a top notch sports scientist. We caught up with Julien recently to hear his story, grab some training tips and learn what it’s like to be a tip top athlete. Julien’s running a unique event on 28th January in London. It’s an opportunity to learn the tricks of the trade from a GB athlete to help inspire you towards your goals. From tips & technique on jumping, fitness & nutrition to motivation – Julien’s got you covered. For more info check out the event page here. WeTRAIN: Julien! Let’s start at the very beginning, how did you get into athletics and when did you realise you had a talent for jumping? Julien: When I was young, I used to sprint and jump everywhere. You know boys, always running around and jumping over fences and climbing walls. My heart at the time was in football, but I would attend athletics training sessions in the summer. The drills were a lot like when I was out playing with my friends – big jumps and sprints that I was already good at. I became the national long jump and triple jump champion, and then a top ranked U17. That’s when I got my first international vest. When I finished school, I moved closer to my coach, and in 2012, I finished 5th at the Olympic trials. WeTRAIN: What’s been the biggest hurdle to overcome since then? Julien: Last summer, I had surgery in my foot and they told me there was no chance I’d be running or jumping until around March or April of this year. That would have been almost a year. I didn’t accept that. I went to the best doctors, I learned to walk in 3 months, and then in another 2 months, I’d started running and jumping again. WeTRAIN: What has been the best advice you’ve been given, either professionally or personally, that you in turn would give to young people today? Julien: Learn from others. Learn from what they did to succeed – implement their techniques and adapt it to your own style and formula. No time for ego – really take the time to listen and learn from them. WeTRAIN: What’s a typical day like for you? Julien: I wake up at 7:30am, do a half hour of foam rolling, and then I get to the track for about 9am and foam roll again. Then, I’d do half an hour of drills, followed by a 1 hour running session. I’d have a break from 12-12:45pm, then hit the weight room for an hour, an hour and a half. Then I do some hamstring work, followed by physio for 45 minutes. I train for around 6 hours a day, including the stretching and foam rolling. After my training, I head home, cook, foam roll and chill out! WeTRAIN: Sounds like a tough schedule! What motivates you to get out of bed each day and get training? Julien: Rice and peas and chicken on Sundays – the real fuel. Good traditional Caribbean food. And also, having all of these opportunities on offer. Since I was young, I’ve had a lot of talent, so I really want to max my potential and make my family proud. WeTRAIN: Any top tips for our WeTrain Community out there? Julien: For the instructors: Do your research. Use journals, sports sciences, and learn from elites’ performance principles. The way I train others comes from what I’ve learned in my research. Google Scholar is your friend! Also, you need to love what you do. You need to always try to make sessions fun and have energy so that you can set the tone of the class. For someone heading to events, trying to get fit: do it with friends, someone you feel comfortable with. Exercising should never feel like a chore – it should be your escape… a treat! WeTRAIN: Favourite hobby? What do you do on your down-time? Julien: Spas! I like spas. Recently, I’ve been to Hale Country Club in Cheshire and Woodlands Spa in Lancashire. I just go there, relax and zone out. This is where I get my pen and paper out and start thinking about my vision and my formula, and start thinking about what I need to do in terms of my 3 year plan and my vision. I also like things like theatre – I’ve seen Mathilda, Woman in Black, the Sound of Music. Definitely seeing the latest Harry Potter… if I can get tickets. WeTRAIN: What’s this 3 year plan you mentioned? What are your future goals? Julien: That’s a secret! Ha, no, I’m actually working on a 3 year plan. I plan on being a year away from the Tokyo Games in 2020, hopefully being in a good position with a qualifier underneath my belt. I also want to be a physio by then and build my own brand further, so lots of hard work ahead – studying and reaching out to more young people.